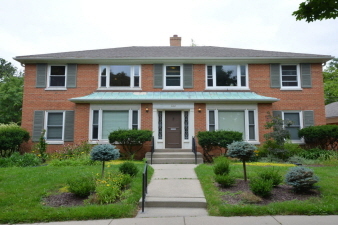 Great two bedroom condo in the heart of Wauwatosa! This unit features updated hardwood floors and remodeled kitchen. The spacious living room open to the dining room with built-in china cabinet. One car deeded garage parking, plus an additional deeded outdoor space. Convenient to Mayfair Mall, Sendik's, other local stores and businesses. Minutes from the freeway, too!